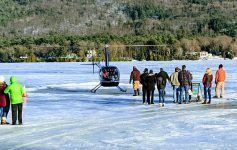 The DEC announced that Million Dollar Beach in Lake George is closed through Friday, June 23, while a four-day, multi-agency investigation is underway to aggressively track down potential sources of E. coli and eliminate the contamination. We’ll cover what is happening and the many other area beaches you can enjoy in the meantime. 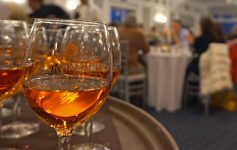 If you haven’t tried the area’s many other beaches, you might just discover a new favorite among the the options available. Usher Park — On Route 9L, just around the corner from Million Dollar Beach, you’ll discover this little known gem. There’s a playground, tennis court, basketball court, restroom and picnic area. It’s typically a quieter beach, though you can expect increased activity if the larger Million Dollar beach is closed. Note that this beach closes at 6:00 pm, though the park stays open later. 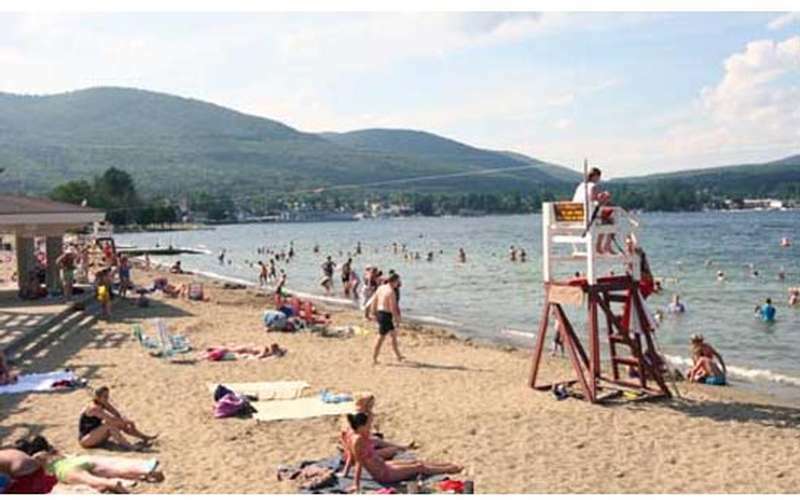 Shepard Park Beach — This well-known beach located right in the heart of Lake George Village is a popular destination close to restaurants and shopping. There are public restrooms, a small playground and an outdoor stage with free live music and entertainment. Rogers Memorial Beach — On Route 9N, about 10 miles north of Lake George Village, this beach is open to the public from 7:00am to 10:00pm daily during the summer, with lifeguards on duty from 9:00am to 5:00pm. In addition to a nice sandy beach, you’ll find picnic tables, grills, tennis courts, a playground and more. There is a modest parking fee of $5. Veteran’s Memorial Park Beach — Also located in Bolton Landing, about a half-mile north of Rogers Memorial, is Veteran’s Beach, with the same parking fee and hours as Rogers. This park has a dock as well as picnic tables, grills, a playground and more. There are also beaches in Hague and Huletts Landing, as well as several other locations. Check out the full list below for all the options. What Steps Are Being Taken at Million Dollar Beach? 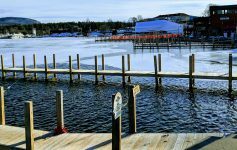 To find the source of E. coli contamination, the DEC has partnered with the Town of Lake George, the Village of Lake George, the Lake George Park Commission, the Lake Champlain/Lake George Regional Planning Board, the Lake George Association, and the Warren County Soil and Water Conservation District. The team met yesterday and will reconvene on Friday to evaluate their individual findings and determine the best course of action. Investigate nearby storm and sanitary sewers for leaks or illicit connections through video inspections and dye testing. This includes conducting video inspections of sewers along Cedar Lane, Beatty Lane, and Beach Road and dye testing residential properties in the Cedar Lane/Beatty Lane area. Investigate a stormwater vault near Dog Beach that reportedly had elevated bacterial levels and video-inspect associated piping for any illicit connections. The DEC is also addressing one other potential source of contamination – waterfowl. While early samples of the E. coli tested negative for avian bacteria, the department wants to test samples with higher E. coli levels to be sure. In the meantime, they have installed signage to not feed the waterfowl and prisms to deter the presence of the birds on the beach. The DEC states they will be sharing additional information on the investigation at Million Dollar Beach as it is made available on the DEC website.